The second series of the science fantasy anime sees Kamijo Toma still down on his luck: he is still studying in Academy City; a place full of people training to be espers, but he is ranked at “Level 0” with no powers at all – except in his right hand, that has the power to nullify all other powers. That, and he is sharing his flat with a gluttonous English Puritan nun named Index Librorum Prohibitorum, who has been forced to memorise 103,000 grimoires. After an opening episode reminding us of the principal characters, the story kicks off properly with the news that a grimoire called The Book of the Law has been stolen, and the only person capable of translating it, a Roman Orthodox nun named Orsola Aquinas, has been kidnapped. A band of Roman Orthodox nuns has gone off to find both, as has Stiyl Magnus, the fire-using sorcerer from Index’s branch of the English Puritans, who kidnaps Index as a way of getting Toma to help him. At first it appears that the enemy are a Japanese group called the Amakusa, but they reveal that actually it is the Roman Orthodox church who are the real foes, planning to kill Orsola so that The Book of the Law cannot be misused by anyone else. This leads to Toma, Index, Stiyl and the Amakusa uniting to save Orsola. 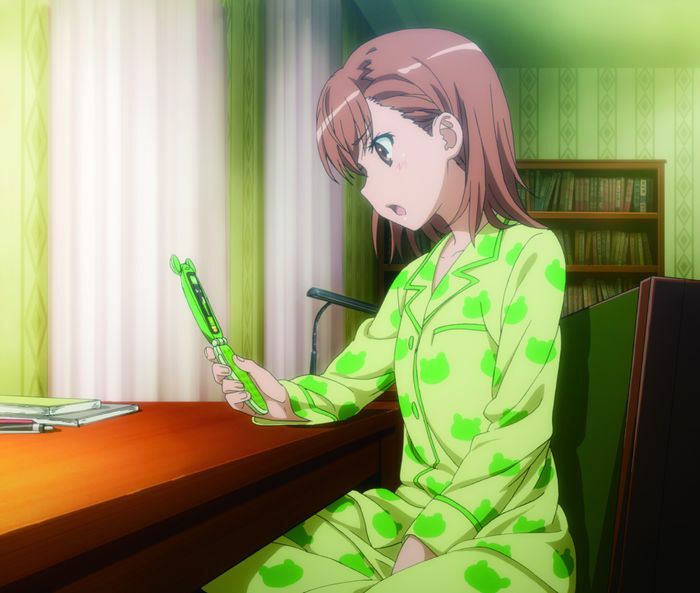 Following this are more stories, firstly focusing on Mikoto Misaka, the Level 5 electric esper, and Kuroko Shirai, the teleporting esper who is madly in love with her, who get involved with an even more advanced teleporter causing chaos around the city; then afterwards more stories involving battles against the Roman Orthodox Church. One sees them up against Oriana Thomson, a magic user who is capable of casting spells just by touching people; another sees what looks like a brief moment of good luck for Toma when he wins a holiday to Northern Italy, only to end up involved with a fleet of ice ships in the Adriatic Sea. 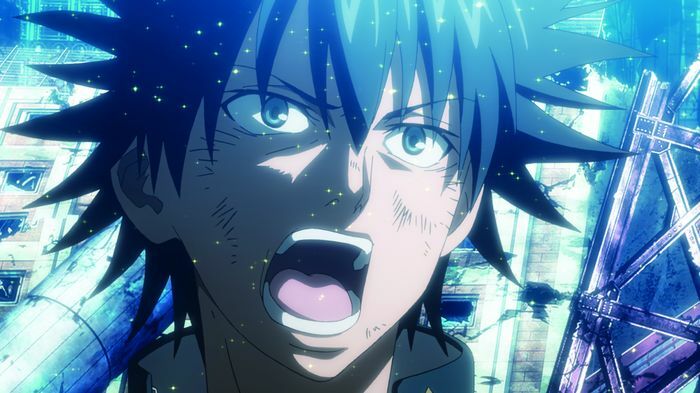 The arrival of the Roman Orthodox Church’s strongest fighters leads to fights from all quarters of Academy City, including the strongest esper of them all: Accelerator. One of the things that sticks out the most in this series, as in the first, is the violence in the show. For example, in the story about the attempt to kill Orsola, Index stops a bunch of nuns from attacking by singing a hymn. When another group of nuns arrives, their way of protecting themselves from hearing Index is by ramming fountain pens in their ears, making them deaf in perhaps the most grisly way I can imagine. In another instance, Oriana Thomson attempts to kill Aisa Himegami, a girl in Toma’s class, by unleashing a spell that slashes Aisa repeatedly leaving her a bloody mess, because she wrongly thinks Aisa is a member of Index’s church because she is wearing a crucifix accessory. One weird thing about this series is the choice of names for the two opposing factions: the Roman Orthodox Church and the English Puritan Church. It is relatively easy to deduce that they are the Catholic and Protestant Churches respectively, but for some reason the creative team decided to go with these strange names that no-one uses. If you Google “Roman Orthodox Church”, the first thing that comes up is the Romanian Orthodox Church, which is an entirely different branch of Christianity. There is actually a reason for this change, namely the fact that series is set in an alternative history timeline, but the problem is that it is not that explicit and thus it’s hard to spot such things. If the writers had just stuck with Protestantism and Catholicism it would be easier to understand the rivalry between the two groups, that has lasted for centuries. 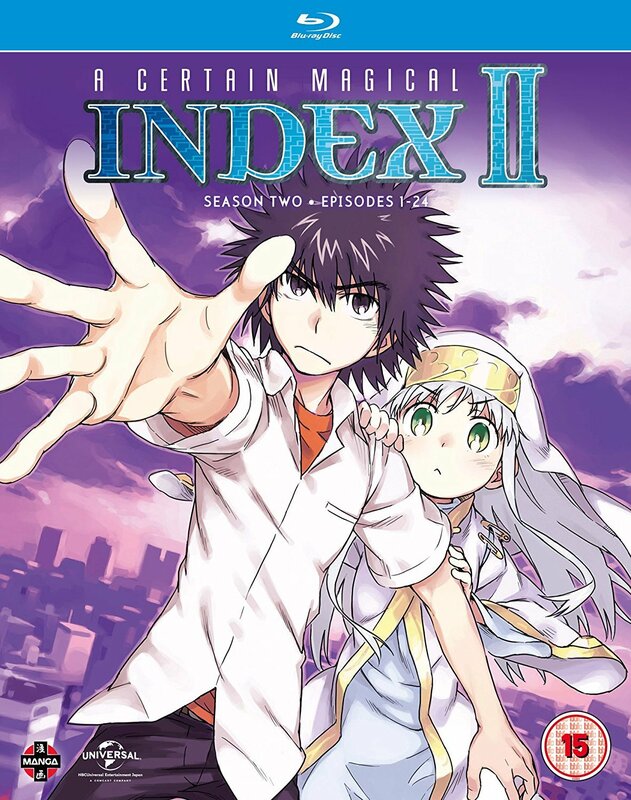 What A Certain Magical Index has is a kind of anime Old Firm Derby – only with nuns in place of a football match. Each side is still as violent as the other, of course. This leads to the second weird thing, which is that with the Catholics / Roman Orthodox being the antagonists for most of the series, it feels at times as if somehow the DUP had got hold of the script. This is ridiculous of course, as there is no way the DUP would create something that has so much fan service in it. 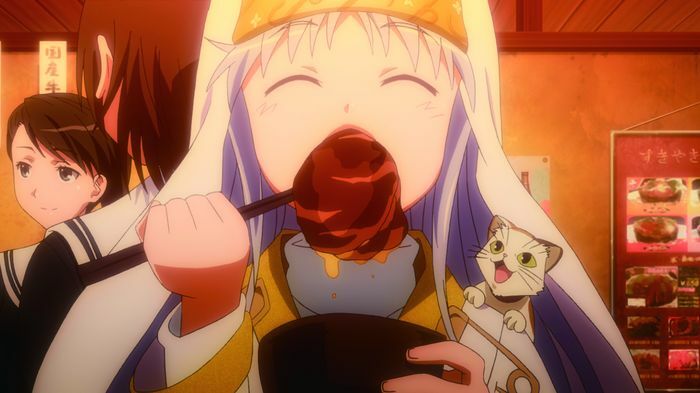 The fan service does get a little bit tedious from time to time, but it is not as annoying as other series I’ve come across (for an example really annoying fan service, see one particular manga review of mine in the next issue of MyM). Regarding extras, there are four episode commentaries, textless opening and closing (best music being the first opening, “No Buts!” by Mami Kawada) and a US trailer. Overall, the action in the second series is better than the first, although you may be best watching the first series again as it has been a while since that was released, in order to familiarise yourself with everything properly.